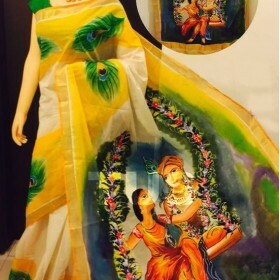 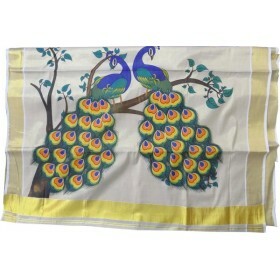 New traditional collection Kerala kasavu cotton saree having hand painted Radha Krishna in hanging f..
Purchase Full tissue kerala pattu pavadai for this onam season, its the traditional wear for kids fo.. 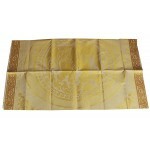 It is a tradional temple design settu mundu with golden kasavu. 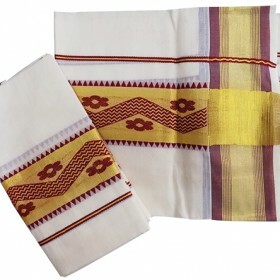 Along with that maroon colour design.. 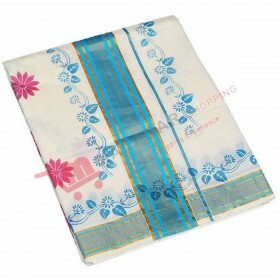 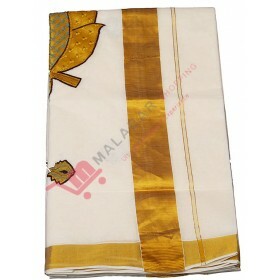 Here we introducing is one of the variety collection from Malabar shopping. 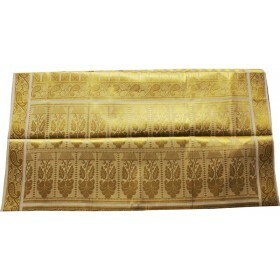 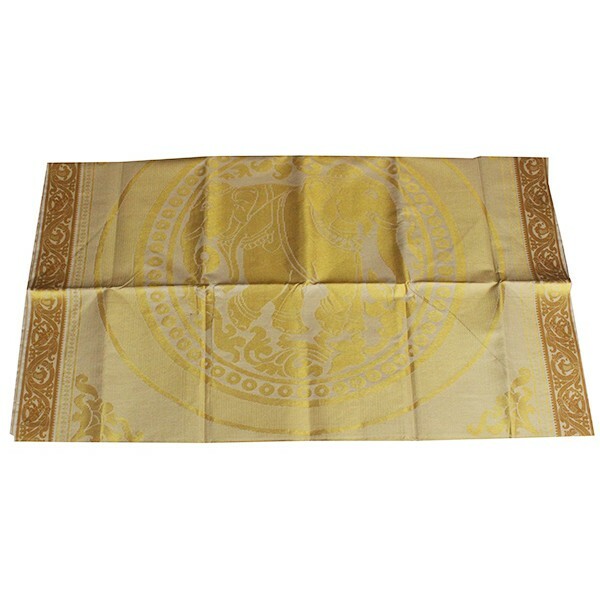 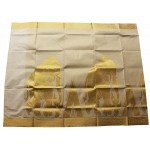 It’s a traditional settu..
Kerala full tissue elephant design wedding saree with a broad 4" border. 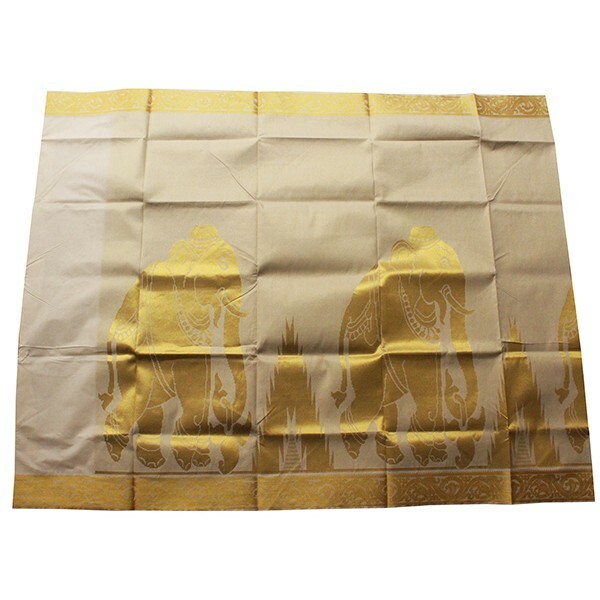 The pallu is having two elephants kasavu work in a round and 3 elephants are walking design on the border is very unique. 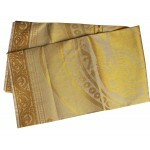 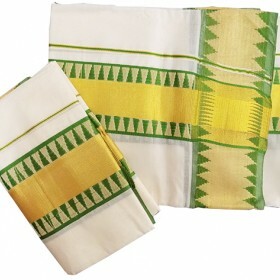 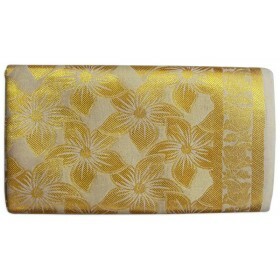 The simplest but the most elegant of tissue sarees. 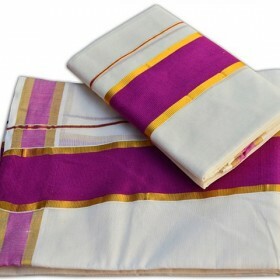 Wear them with contrast blouses for that traditional yet elegance look !! 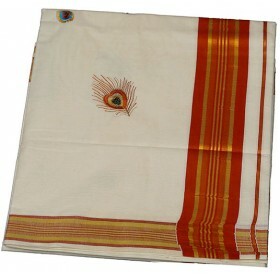 Saree comes with running blouse.